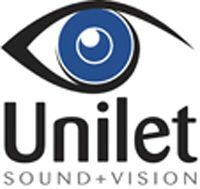 Unilet's second 'Sinful Saturday' sale promises subwoofer bargains | What Hi-Fi? Unilet has announced its second Sinful Saturday sale, this time showcasing a whole host of savings on subwoofers. If bass frequencies are your bag then the Unilet store, at 35 High Street, New Malden, is worth checking out from 9am this Saturday. The second of seven consecutive Saturday sales, the theme this time around is subwoofers, with kit from the likes of Dynaudio, Meridian, REL, Velodyne and B&W involved. The Sinful Saturdays will occur every Saturday until the end of the sale on 4th June. Each will be themed to provide an opportunity to purchase different hi-fi and home cinema bargains. The Unilet Blue Murder Sale runs from 9am until 6pm on 4th June at 35 High Street, New Malden, KT3 4BY.